Being known to each and every common man is what makes a person famous. Fame comes in different spheres of life. A child born to an already famous person is known to many due to media and publicity. His/Her photographs are published everywhere. Then comes the Child prodigy-as a child some exemplary action lifts the child from an ordinary being to a famous personality. Fame also comes from some actions. Deeds – good or bad (or is it worst). Some are famous in a small circle, and some others in their own community or field. Some gain fame after death. Some others are famous even after death. Is there any yardstick by which we can measure the fame? Is there any criteria which determines that the one will be famous or will attain name and fame at a particular time and will be known to every human being for a specific time or for ever? What does Jytoisha reveals us on these points? When the above questions came to my mind I started scanning the various Vedic scriptures, hoping to find some definite results. Alas ! I ended up with hundreds and hundreds of combinations for ‘getting fame.’ If I were to list out all those findings, that alone will occupy half of this magazine pages. Then I shifted my focus on to studying some of the horoscopes of notable personalities. I went through all the horoscopes given by Dr. B.V.Raman in his beautiful book ‘Notable Horoscopes.’ Of course the collection of horoscopes by Dr. B.V.Raman is not of those persons who are famous in the sense that their names are known to each and every individual-probably famous only in a particular section or field - at least some of them. They are no doubt horoscopes having noteworthy combinations but not necessarily of famous personalities. The best indicator of fame is Moon. 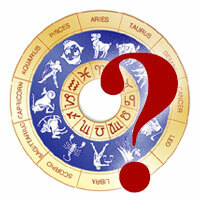 To determine the odds for fame, popularity and public appeal, an analysis of the Lunar aspects are extremely revealing. As the second most important feature in the horoscope, the Moon reveals our basic personality traits. The amount of popularity we enjoy and the general response others have to us is shown in the condition of the natal Moon, therefore it is an ideal indicator of potential fame. If the Moon in your natal chart is in a prominent position – in a Kendra or trikona – exalted or own house or by several aspects to other planets, you could be on your way. These show a natural potential for appealing to the masses. Not everyone with a prominent Moon becomes famous, but it definitely is a major factor in that direction. Some are famous without a prominent Moon, but they usually have some very heavy emphasis in a particular area of their chart, such as a stellium of planets in an angle. Without a prominent Moon, and without such a stellium, you can still achieve fame, but it involves lot more work to accomplish this. With Mars conjunct Jupiter, though, you definitely have the potential energy to work hard to achieve fame, if that is what you desire. The tenth house, the 9th house as well as the 5th house also represents fame. The nature of the sign, lord of the sign, planets posited therein as also the aspects the sign is receiving are all important factors before deciding on whether the native will attain fame or not. It is noteworthy to mention that an afflicted 12th house or 4th house may make one shy away from fame. Above all we should not forget the 1st house as it represents fame also. Hence Lagna and placement of Lagna lord are also to be considered. Ashtakavarga System also throws some light on attaining fame through the bindus or dots gained by a planet due to his placement. Maharishi Parasara has the following to say in regard to combinations for fame: One will be endowed with fame, if Moon is in 10th House, while 10th Lord is in a trine from 10th House and Lagna Lord is in Lagnas angle. Similar effects will come to pass, if 11th Lord is in 10th House, while 10th Lord is strong and gives Aspect to Jupiter. Fame will come to the native, if 10th Lord is in 9th House, as Lagna Lord is in 10th House and Moon is in 5th House. Now it is time to frame some rules to find out the answers to at least some of the questions raised above. These are the ten commandments for getting fame. 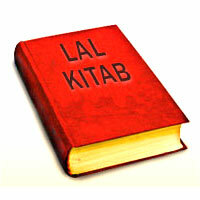 Lagna lord and 10th lord strongly placed without malefic interventions. 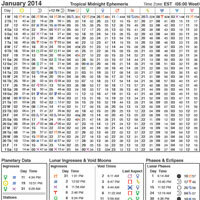 Karaka for public is Moon – Hence Moon should be strong in the chart. Jupiter or Venus should have some connection with Moon-conjunction, aspect or placement in Kendra or trikona to Moon.. Fame is related to image. Hence Arudha Lagna and planets in Kendra/Kona to Arudha Lagna are vital. Connection between 5th and 10th house as also between 5th and 9th house. Position of lord of 10th from Moon and his associations. Since the 10th house plays a major role in establishing fame, let us call it as the HOUSE OF FAME. If the lord of House Of Fame occupies a Kendra or Kona from the house of fame, fame is likely to come. But he cannot determine fame, he can only support by his placement. That is to say that the position of lord of House of Fame in a Kendra or Kona definitely ensures support for the native in achieving fame. The next person who assists in getting fame is the planets placed in Kendra or Kona to the lord of House of Fame. When Jupiter or Saturn conjoins or aspects the lord of house of fame or placed in an angular position fame results. For Diurnal births, it is observed that Jupiter plays an important role where as for nocturnal births Saturn takes the place in determining the fame. 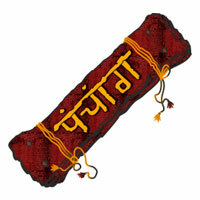 Placement in a Kendra or Kona from Lagna or Arudha Lagna or House of Fame is vital for this rule. These are not the end of it, it is only the major influences which make a person famous. Various innumerable combinations do bring popularity which should not be forgotten. 1. Let us first take up the chart of Father of Nation-Mahatma Gandhi. Lagna lord Venus and 10th lord Moon are in their swakshetra. Though Moon is afflicted by Rahu and Venus by Mars, by virtue of their ownership of 5th house(Co-lord of 5th) and 7th house respectively, it can be said that both are fairly strong. 10th lord in the 10th makes a person highly successful in his profession and he commands respect and honour. Karaka Moon is in own house. Jupiter is in a Kendra from Moon forming a Gajakesari Yoga. AL (Arudha Lagna) is in Cancer and its Lord is in own house and Kendras from AL are occupied by benefics. For Libra Lagna Saturn is a benefic as he owns 4th and 5th. He is placed in trikona from AL. From Moon 10th lord Mars is placed in a Kendra along with benefics Me and Ve. House of Fame is in Cancer. Lord of House of Fame is Moon and is placed in his own house. Mars, Mercury and Venus are in Ascendent and angular to the lord of fortune and Jupiter. Jupiter and Moon are in mutual Kendra. This is a diurnal birth. Hence fame determining planet Jupiter is placed in a Kendra from Lagna, AL,House of Fame and Moon. One noteworthy point in this chart is the number of yogas - as many as 24 - which were also responsible in gaining fame. 2. The 2nd chart I will take up is that of Bill Clinton. 10th Lord Ma is aspecting 10th house. (Ma also happens to be 5th lord as well as he is stronger than Ke-co-lord of Scorpio). The presence of Ma in the 3rd house along with Venus indicate that the fame will not be everlasting. 10th Lord in the 3rd makes a native a speaker or writer of celebrity. 3. 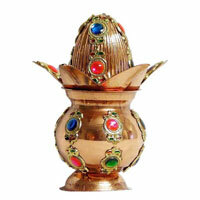 From Moon 5th lord Sun is placed in his own house and 10th lord Saturn is placed in a Kendra . 4. House of Fame is in Aries. Placement of Moon – karaka for fame - there indicate fame. Jupiter is in an angle from Moon and aspecting Moon. Hence his fame is explained. 5. This is a nocturnal birth. We have to examine the position of Saturn. Saturn is placed in the Lagna aspecting the House of Fame. 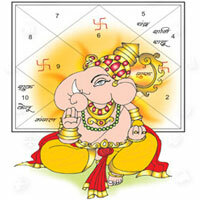 From Arudha Lagna he is placed in the 10th house. 4. The next chart is that of Albert Einstein. 1. 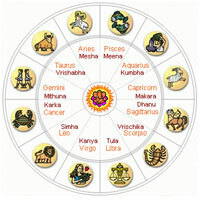 Lagna Lord is placed in 10th house Pisces and is debilitated and getting neecha bhanga. 2. 10th lord Jupiter is in 9th and the 9th lord Saturn is in 10th. 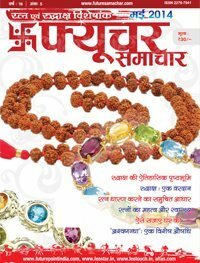 Saturn is the stronger lord of 10th than Rahu as he is with more planets. 10th Lord in the 9th makes a person a stalwart and he will be a beacon of light to many. 3. Moon is debilitated and is placed in 6th . 10th lord from Moon-Sun is placed in a trikona from Moon. 4. Saturn – 9th lord, Mercury-Lagna & 4th Lord , Venus – 5th lord have conjoined in 10th forming a powerful Rajayoga. Note the connection between the 5th lord Venus and 9th lord Saturn. 5. House of Fame is Pisces. Lord Jupiter is placed in a kona from Ascendant. And Kendra from Moon. 6. Lord of Arudha Lagna is in a Kendra from AL. 7. This chart is a diurnal birth. Jupiter is in a Kendra from Moon and Kona from Lagna though not well placed from AL. 1. Lagna Lord Mercury is in 9th and aspected by Moon and Mars along with Sun. Hence fairly strong. 2. Venus is in 10th – exalted. 10th lord is in a Kendra in Moolatrikona position. Very strong position. 10th lord in the 7th makes the person known for his skill in talking and achieving objectives. 3. Moon is aspected by Jupiter. 4. AL lord Venus is exalted and AL has Rahu and Saturn in Kendra position-Saturn co-owns the 9 th house and is strong. 5. Lord of 10th from Moon Venus is exalted though placement is in 8th.from Moon. 6. 10th Lord Jupiter is in a Kendra from 10th house. 7. This is a diurnal chart and Jupiter in his own house placed in a Kendra forming Hamsa Mahapurusha Yoga. The deciding planet of fame is marked bold which are all according to rules explained in Ashtakavarga system for fame. In the foregoing paragraphs I have tried to touch upon some of the combinations for gaining fame. This is not the final answer. As I said earlier, there are many more combinations as explained in the classical texts which bring name and fame to a native which all need to be analysed chart by chart.